G’day. I guess you are looking for Australia facts or travel tips. Or maybe both? Well, congratulations. 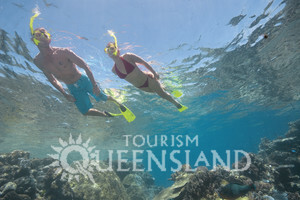 Here you have a website not made by a travel agent who wants your dollars, but by a totally independent local travel addict who shares real first-hand experiences with you, along with Australian maps and a heap of fun facts about Australia. But no matter whether you plan to travel or are just looking for Australia facts, it’s always nice to go for a trip, isn’t it? Well, let’s go. 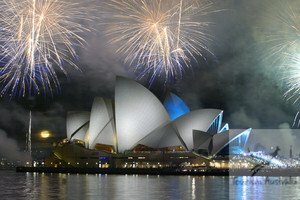 Let’s start in New South Wales and Sydney, one of the most beautiful cities in the world with its Opera House and Harbour Bridge, and world-famous beaches Bondi and Manly. A day trip out? 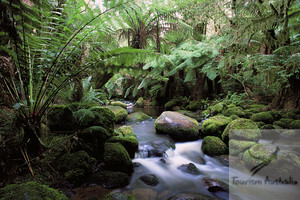 Blue Mountains National Park that offers great bushwalking is only one hour from the city. North of Sydney is Australia’s oldest wine district Hunter Valley, where hundreds of wine lovers cruise from cellar to cellar sampling the products of different vineyards. 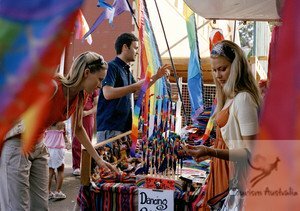 If wine is not your poison, go even further north, to Byron Bay and Nimbin – Australia’s answer to Amsterdam. But be aware that the smell of dope on the streets of these towns does not mean it’s legal. 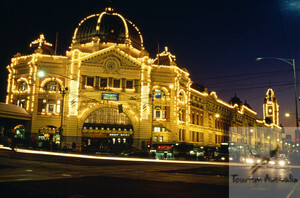 South of New South Wales (and Sydney), is the state of Victoria. It’s probably Australia’s densest inhabited state, although it’s way too cold here to my liking. The high altitudes and southern latitudes mean Victoria is a snowy place during the winter, and unless you intend to go snowboarding, I recommend you visit between October and April. Like many other states, Victoria has got some historical towns from the days of gold-rushes, and some good bushwalks in national parks like The Grampians and Wilsons Promontory. 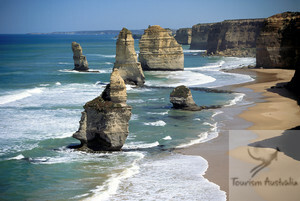 But what you should not miss are the famous rock formations Twelve Apostles on the beautiful Great Ocean Road. And then of course, there is Melbourne. Australians from this part of the continent are divided into two groups: Sydney-lovers (and Melbourne-haters) and Melbourne-lovers (and Sydney-haters). The rivarly has been on for decades and went so far that they had to build Canberra in between the two, to become the capital of Australia. Having been living in Sydney myself, I gave my heart to Syndey, but Melbourne has some good things to offer: Australia’s most beautiful central train station, colourful Queen Victoria Markets, a famous cricket ground, and - trams that have caused some of Australia’s weirdest traffic rules. Melbourne is the place to catch the ferry to Australia’s biggest island and a state for itself, Tasmania – a bushwalkers’ paradise. Most of the island is covered by national parks, the most famous being the Cradle Mountain Lake St Clair. South of the state capital Hobart which has lately got famous for giving Denmark a princess, is the historic Port Arthur, known for its cruel convict history, a haunted prison, and a massacre in 1996 when a freak by the name of Martin Bryant opened fire and killed 35 people before burning down a local guesthouse and ending up in prison for the rest of his life. But despite its history, Tasmania is a beautiful place to visit. All the rest of Australian states contain a little bit of life around their capital cities, and then a great portion of what we call "the outback" (New South Wales and Queensland have an outback too but it’s not quite as empty as in west). 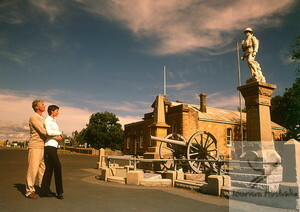 In South Australia for example, you have Adelaide, Australia’s largest and most famous wine district Barossa Valley, and a large area of uninhabited desert. In Western Australia, you have Perth (a great city! ), Fremantle, Rottnest Island and the giant karri and jarrah forests in South-western WA, but the rest of the huge state which covers almost half of the whole continent, consists of a few mining towns and dusty deserts. Northern Territory is wonderfully tropical around Darwin and the famous Kakadu National Park, but go south and you enter the great emptiness of the inland Australia, which I personally like the most! 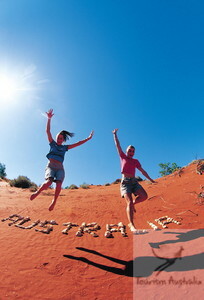 Australian Outback is guaranteed to make you forget your work. It’s so different, so relaxed, and so adventurous. 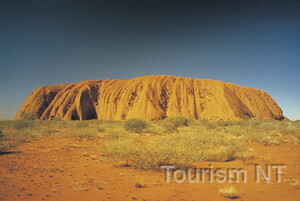 And in the very heart of it all, you have that big red rock in Uluru Kata Tjuta National Park (aka Ayers Rock and The Olgas) that you have surely heard about and mate, don’t miss it, it’s worth every kilometre it took you to get here. GREAT TRIP, HEY? NOW ... Oh.. did I forget the eighth state - ACT (Australian Capital Territory)? Well it's a tiny state mostly consisiting of Australia's capital Canberra - a city known for its lack of decent pubs (which itself is quite un-Australian). 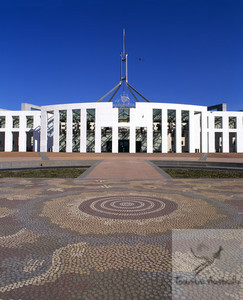 At the expence of proper pubs, Canberra has (of course) a Parliament House, a National University, a National Library, and a great lot of national museums, as it should be in a capital city. 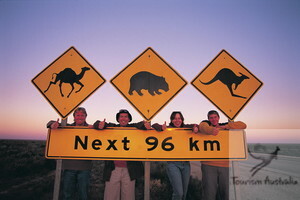 NOW ... WHAT IF YOU ARE NOT A TRAVELLER AT ALL AND ONLY WANT A FEW AUSTRALIA FACTS? No worries. This website is full of Australia facts so it works for you too! It contains a lot more than travel tips like information on Australia visa requirements, cheap plane tickets to Australia, car rentals, road distances, train travel, Australia budget accommodation, backpacker jobs, Australian celebrations and fun things to do in Australia. 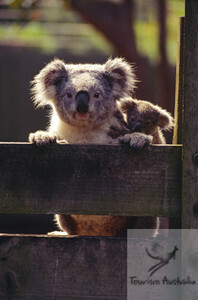 On the Australian Animals page you'll find information about Australian beautiful birds and unique animals including koalas and kangaroos, dingoes and wombats, as well as platypus and echidna; and whales and dolphins. On the Australian Nature page you'll find Australia facts about the country's geography and geology, and rocks and minerals; as well as the variable vegetation in Australian deserts, temperate and tropical rainforests, alpine areas and eucalyptus forests. 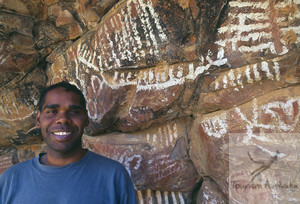 On Aboriginal People page you'll find Australia facts about what the Aboriginal culture once was like and what has happened in the history of Australia since the British convicts jumped off their First Fleet in Botany Bay. 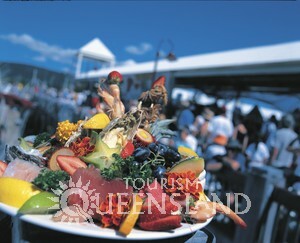 On the Australian Culture pages you'll find Australian facts about food and drinks, and learn what a mixture of cultures Australian population is today. But you'll realise that regardless of the background, for an average Aussie, the beach-beer-and-barbecue culture comes first. This brings to mind a few Australian jokes and other time killers like some fun Australia facts trivia and Australian Slang Dictionary – it’s fun to know Australian English but they do understand you without you having to express yourself by “fair dinkum” or “she’ll be apples”. As you plan your Australian trip, you may also want to know about what's dangerous in Australia and how long are Australian road distances. You can find Australian dangerous animals, and other dangers such as bushfires and dangerous beaches in Dangerous Things; and you can find out travel directions and calculate the length of your trip in Road Distances. There is a Google map in the bottom of all the destination pages showing you the location of the places you are reading about. Here is the map of the whole Australia where I've tagged the places which I have mentioned on this web page. You can click on the tags to see what places they are, and double-click anywhere on the map to zoom it in and see the places closer. Drag the map to move around, and if you want to see the satellite image with Google Earth, click on "Sat" in the top right hand corner. 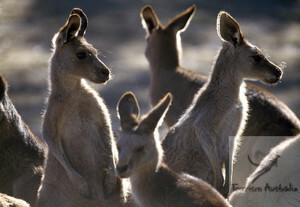 Looking for more Australia facts? NOTE: This website is written in British English, which is the English we use in Australia. You will find words like "traveller", "harbour" and "realise", and they are all correct in the language used in Australia!